Managed by the Nature Conservancy, this 971-acre preserve provides exploration opportunities on nearly 4 miles of undeveloped shoreline on the pristine waters of Tenderfoot, Roach and Mirror lakes. The trail is accessible via water and is open from ice-out (April/May) through November for hiking, birdwatching, fishing and other low-impact recreational activities. The terrain is fairly flat. There are no restroom facilities. 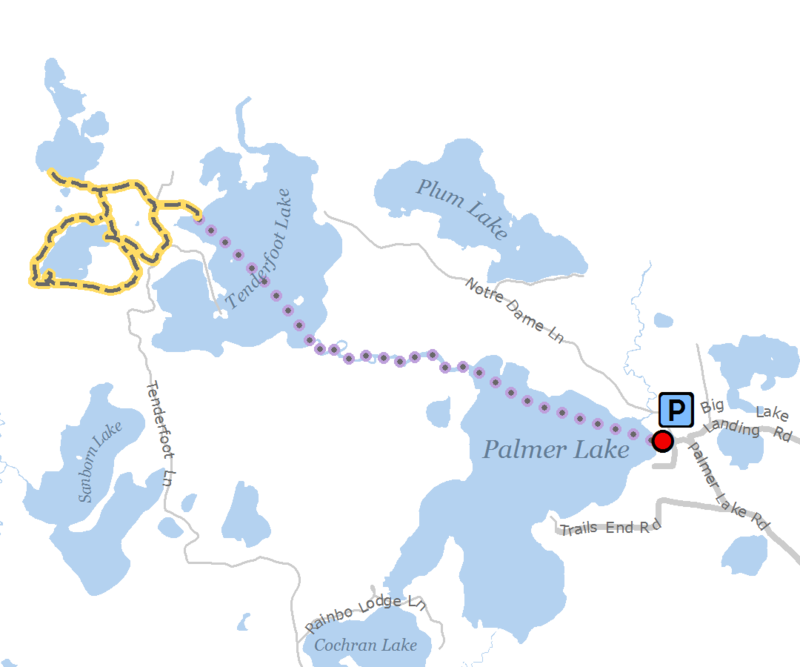 This is a combination land/water trail between Land O’ Lakes and Presque Isle, with access via the Palmer Lake boat landing.